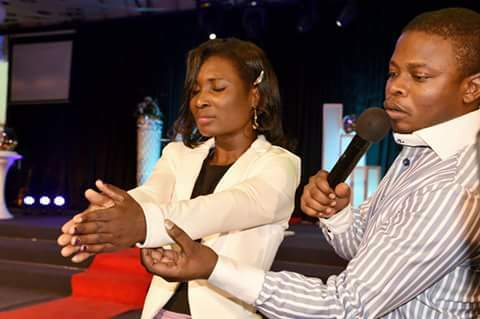 "Very truly I tell you, whoever believes in me will do the works I have been doing, and they will do even greater things than these, because I am going to the Father"
Prophet shepherd Bushiri - Major 1 of the Enlightened Christian Gathering is doing greater works.The prophet of God called out those with shorter limbs to come to the front for prayer. He prayed for a lady whose left hand was shorter than the other as she had a fracture leading to the said hand being shorter. The congregation shrieked in excitement as the Prophet prayed for her hands to be even. Whatever has been shortened by a misfortune in your life is being corrected in the mighty name of Jesus Christ!